Join author and historian Thomas White for another riveting presentation on Western PA lore. This time, he’s talking about gangs and outlaws! 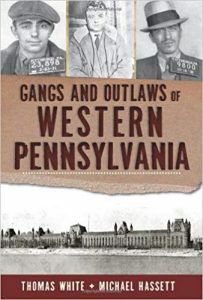 Western Pennsylvania has some fascinating criminal history. Hear the stories of the Flathead Gang and the first armored car robbery, Pittsburgh’s first bank heist, and Glenn and Irene – the area’s own Bonnie and Clyde. 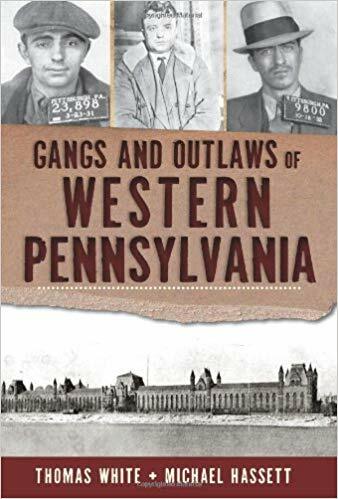 Learn about the notorious Cooley Gang who terrified Fayette County in the 1890s, the escape of the Biddle Boys, and many other tales of the region’s dark side. Thomas White is the University Archivist and Curator of Special Collections in the Gumberg Library at Duquesne. In addition to maintaining the University’s manuscript and artifact collections, he has been actively documenting the folklore of Pennsylvania with particular interest in the relationship between legends and history. 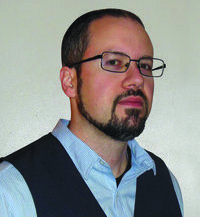 He is the award-winning author of 10 books, including Legends and Lore of Western Pennsylvania, Ghosts of Southwestern Pennsylvania, Gangs and Outlaws of Western Pennsylvania (co-authored with Michael Hassett), A Higher Perspective: 100 Years of Business Education at Duquesne University, Witches of Pennsylvania: Occult History and Lore and Supernatural Lore of Pennsylvania: Ghosts, Monsters and Miracles (editor).